Nina Brazier is directing Ryedale Festival Opera's production of Mozart's La finta giardiniera which opens on 15 July 2017 at Ampleforth College Theatre, Ampleforth YO62 4ER, with a cast which includes soprano Alice Privett as Sandrina and Eamonn Dougan conducting the Orchestra of the Age of Enlightenment Experience Ensemble. Nina has never directed the opera before, and Alice Privett has not sung the role of Sandrina before, though Nina and Alice have worked together previously on La Bohème for Clapham Opera Festival. I was curious as to how they went about creating a production from scratch, so met up with them after their second day of rehearsals to learn some of the secrets of the rehearsal room. The opera is being performed in English in a new translation by Dr John Warrack (president of the Ryedale Festival) as The Garden of Disguises. Using a new translation meant that Nina was very much approaching the piece fresh, though she rarely looks at other productions in case it confuses the clarity of the concept of her production, and until she heard the singers in rehearsal she never properly experienced the new translation. Nina's work on the opera started with a series of exploratory conversations with the designer Laura Stanfield. It was a collaborative process with lots of brain-storming, and sharing of visuals, films and mood boards, deciding how best to present the opera. There were wrong turns too, an early idea was to present the opera during World War Two amongst the Land Girls, a neat way of enabling Sandrina (an aristocrat) to disappear and re-invent herself; but this idea threw up too many problems, notably why aren't the men away at war!. So they have fixed on a 1930s Italian setting among the sun-drenched cypress sunsets (think Tea with Mussolini before the darker political undertones emerge) with English aristocrats and the locals who work for them. This brings out another issue important in the opera, that of class distinctions. Nina was able to play with ideas of Sandrina's character and class; she is an aristocrat who is working and pretending to be the same as the rather more earthy locals. In the production, class will not just be reflected in what the characters wear (we are promised some fabulous costumes), but also in different levels of the set with some reserved just for the aristocrats. So before the first rehearsal Nina has created the full shape of the production, planned out but flexible. She notates entrances, movements and actions, sometimes adding emotions and intentions. 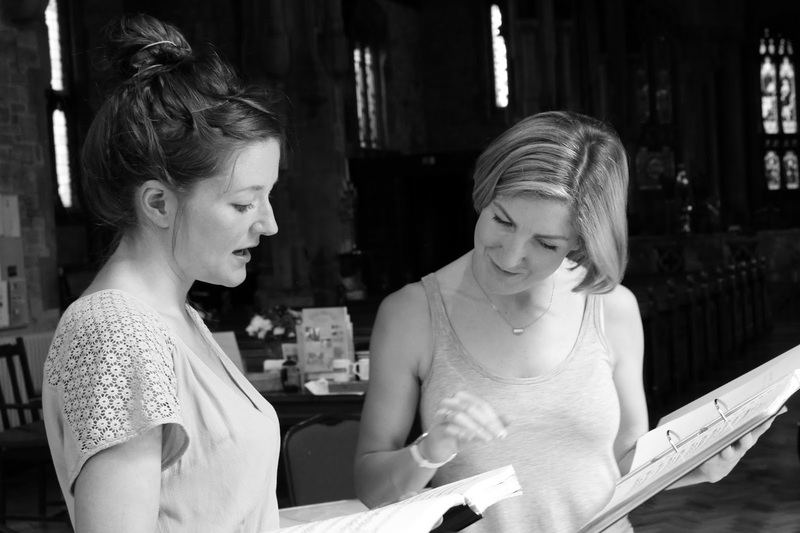 Alice meanwhile has had to learn her role in the opera, and during our interview she digs the score out of her bag to demonstrate its sheer thickness. She first looks at the work's shape, and labels and highlights the music. Then it is necessary to sing the role in, to work out where the emotional trajectory takes her and what is needed in terms of stamina. For Alice, the trick is not to have too fully formed a character before rehearsals start so that things can be developed with the director. Alice comments that whilst Nina is very flexible, some directors have more fixed ideas. Alice sometimes does exercises to help her get a feel for the character, writing down a list of what the character wants to be and another list of what the character is scared they might be. This gives her a sense of the character's struggle, existing between these two extremes. 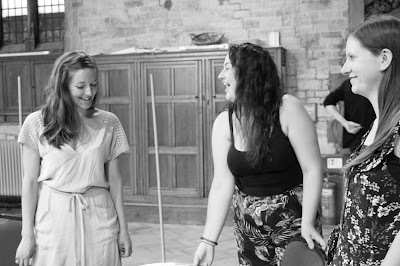 With the character of Sandrina in La finta giardiniera there is the extra layer that she is pretending to be someone she is not. Nina comments that it is fun to explore the moments when Sandrina pops out of character, is haughty and then pulls back. Once in the rehearsal studio some people will have worked together before, and some will not, most people will know someone. 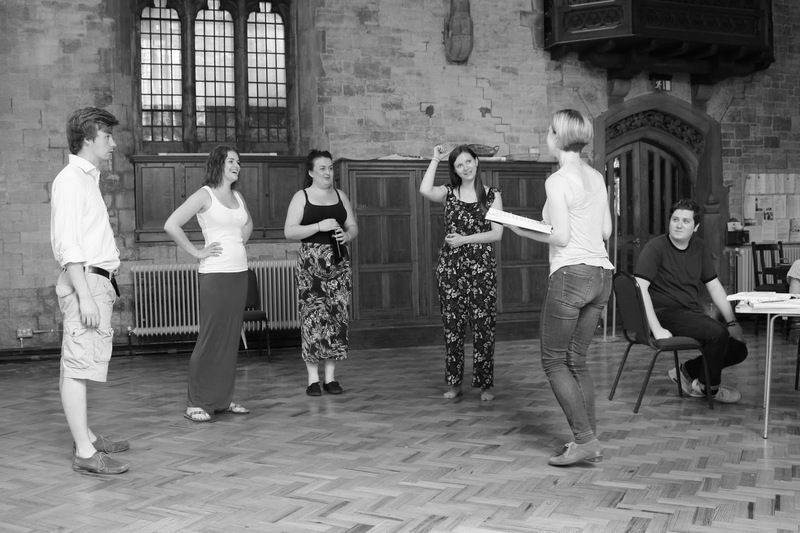 Nina tries to set up an open and honest atmosphere, working in a positive way, using humour rather than negative criticism, as she feels this brings more out of the singers. So they plunge straight in, where are characters entering, what is their motivation, and how do the interactions work. Alice points out that there are things which a singer cannot sort out on their own, you need to be with people. And for her, as with other singers, there is a link between learning text and music, and learning the movements around the set. She explains that as a child she learned the violin by the Suzuki method and so learns by doing rather than just sitting looking at the score. But it is also much easier to learn a piece in the original language, and they have to spend time making sense of the rhythms as the English rhythmical patterns fit the music in a different way. 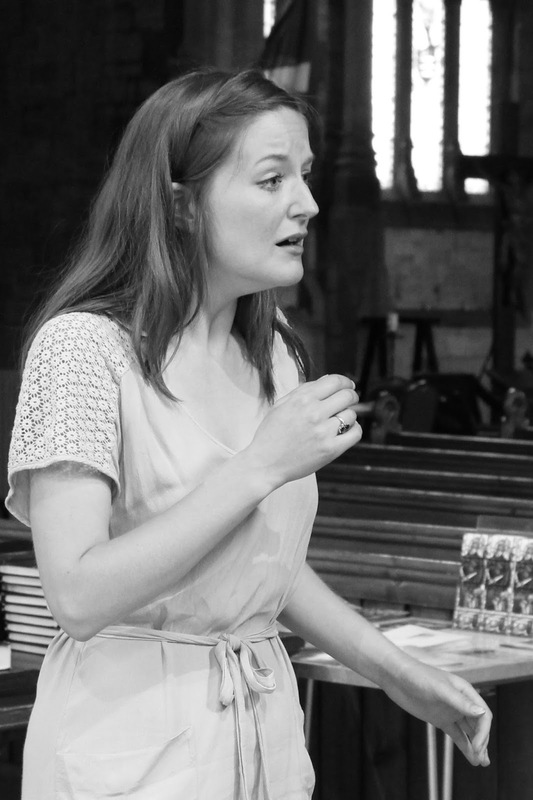 Alice feels that with La finta giardiniera it helps that their musical director, Eamonn Dougan, is also a singer so he understands what might be helpful to the voice. There is also no faffing around, and Nina also likes to solve problems on her feet. She likes to get the piece into a broad shape and then work in more details, editing as she goes. Ideally Nina will work on the first act, then run it, work on the second act, then run the first and second, and so on, so that the singers are getting the shape of the piece overall, a sense of the line of the piece. And she feels that singers often prefer to have a clear shape to work from. Of course it is possible to work by improvising, but Alice points out that this does rather take a long time. If there is time, Nina likes to play status games, using visualisation and physical play to act out the relative statuses of the characters at various points in their interactions. Working on the piece, and others of the period, Alice has come to realise that status differentials such as the aristocrat / servant one depicted by Mozart still exist around us, and that you can tap into them in any time period. She comments on meeting people around her who have status and control. Nina adds, that another important factor is who has the financial control, though Alice adds that often Mozart actually gives his lower status characters more power. With Sandrina, a high status character playing a low status one, the comedy comes from this masquerade; Sandrina has the privilege that enables her to pretend to be a gardener. In La finta giardiniera, Nina points out that almost all the characters are self obsessed, and that the production needs to find a way to make the audience care, it is important that the audience empathises with the characters. With Sandrina, Alice recognises that character cannot be lamenting all the time, and there needs to be moments of brightness. Otherwise there is the danger that the character become one dimensional, and here the music helps to give other sides to the character. Working with a mixed group of performers who have never come together, in this form, before presents a number of challenges for Nina. Different groups of people will have different amounts and levels of experience and so the attention that Nina gives them can vary. But someone who is experienced and well prepared may well feel neglected, so this has to be handled carefully and naturally. Every production has its own unique set of challenges and problems. One of the most stressful things in the rehearsal studio is time, when deadlines approach but Nina tries not to let this rub off on the singers. Another problem can be if the director and conductor want different things, it can be confusing for the singers and in such situations Nina tries to negotiate. This is a problem which Nina has occasionally encountered in other productions, where she has been assistant director. On a well balanced production there should be real give and take between director and conductor. Other problems can involve choreography, with the challenge of getting through a lot of choreography in a short time, or being too optimistic with what can be done with the set so that more technical days are required than initially planned. Everything changes at the end of the rehearsal period, when the singers move onto the full set for technical rehearsal and for the lighting to be added. For four or so weeks, the singers have been familiar with the rehearsal studio, even if it does have the set marked out, and moving to the real set is a challenge and sometimes things have to change. But whatever the problems, come the opening night the intention is that the audience should not notice. 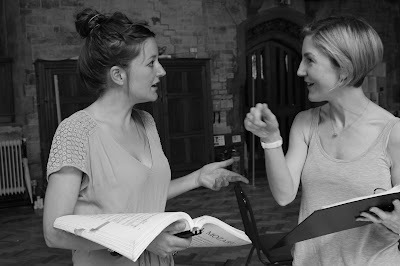 I was interested to find out why Alice and Nina do it, why they are involved in opera. For Alice singing was the only thing she wanted do to. The emotional ups and downs can be extremely challenging if you don't know how to manage them, but she appreciates the way she can really connect with the music, and with the audience, the feeling you transfer the character's emotions to someone else. For Nina it is the way that opera takes real human drama and heightens it making something more powerful and more extreme. Nina likes pushing this to the extreme, with humour and tragedy going hand in hand. She adds that the last time she and Alice worked together, she found herself crying during one moving passage when Alice was singing.